Miraberen: Busy time is coming !! Busy time is coming !! The next 3, 4 months will be very busy for me. I will participate the Holiday Show from Bears and Buds on the 11th of November, and i will stand on a bear show on the 26th of November in the Porcelijne fles in Delft. 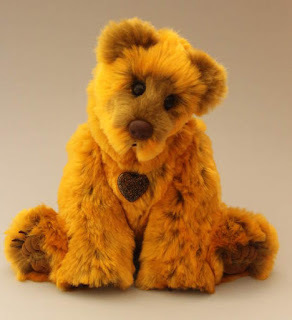 Because the shows are very close to the holiday time , i want to create some very special bears and animals for you to adopt. I am planning to redesign some of my patterns and create some new animals.....................and this ,of course, will cost a lot of time. So i have decided that the next couple of months i will put all of my free time in designing and creating. This mean that i will not be a lot on social media and that there are probably no new bears available till the begin of November. But this is al for a good cause...................................making beautiful bears and animals that you can adopt and give you a smile on your face.